From all of us here at The Capitol View, we hope you and your families had a wonderful holiday season. With the New Year now upon us, we wanted to take this moment to wish all of you a happy and healthy 2010. This past year was certainly a challenging one and though 2010 will bring its share of obstacles, we have great optimism that next year will be better than the last. As 2009 comes to a close, House Republicans wanted to take this opportunitiy to highlight Republican efforts rejected in this year by House Democrats on Beacon Hill. Below is a summary of the missed opportunities. Expedited Sale of Surplus State Land: This amendment establishes a process for selling surplus state property, which allows the Commissioner of the Department of Capital Asset Management to assess the land and property under the control of various departments throughout state government and to sell or lease such property. This process, which has been used in the past, is estimated to generate roughly $10M in FY10. Despite the need to maximize revenue and the current rising budgetary constraints, the Democratic Majority soundly defeated this proposal. Surplus Turnpike Assets: Many legislators and interested parties have debated the value of the Turnpike's land and building assets and whether the Pike should sell these assets in order to avoid potential toll hikes. Unfortunately, these proposals had been rejected on a number of grounds, including the Democrat-controlled Legislature's hesitance to relinquish control of the assets and allow a private company to profit from their value. During the Transportation Reform debate, however, the Republican Leadership filed an amendment that proposed a fair compromise. This amendment directed the Undersecretary of Highways, the Treasurer, and the executive director of the PRIM board to study which Turnpike assets are surplus to the operation of the roadway and have the potential to meet the pension fund's assumed rate of return. If any assets meet such criteria, the state pension fund may then purchase those parcels at fair market value, pending the approval of the Undersecretary. This would allow the state's pension fund to "buy low" on potentially valuable assets and would infuse much needed revenue into the Turnpike's coffers. Ultimately, while this proposal was adopted on a voice vote in the House, it was not included in the final legislation. Public-Private Partnerships: This proposal, offered by Republican legislators in both the House and Senate, codifies language that would permit the state to consider public-private partnerships when implementing new expansion projects. This language would permit private companies to design, build, finance, operate, and maintain new infrastructure. This process would be subject to the oversight of a commission comprised of experts in the field of transportation, construction, infrastructure, and engineering and the state auditor. All of us here at The Capitol View wish you and your families all of the joy and happiness this holiday season. May 2010 be a happy and healthy one for you and your loved ones. And as we celebrate Christmas, please be sure to keep our service men and women in your thoughts and prayers as they will not have the opportunity to spend this holiday with their families. Governor Patrick Gets Part of his Story Right! Governor Deval Patrick appeared with Jim Braude and Margery Eagan on WTKK yesterday, where the Governor took several questions from callers and via email. The Governor, whose sense of reality appears to be warped, was talking about the budgets his administration has produced during his time in office calling the three budgets thus far “responsible, balanced and on time.” Well, he got part of his story right – they have all been on time! But responsible and balanced, now that’s a stretch! Each and every budget the Governor has signed has been revisited several times, not to mention the fact that just days after signing the FY10 budget, the Governor was already asking for expanded 9C powers. The last three budgets have been structurally deficient while the past two have been way out of balance from the get go. They’ve all been based on bloated revenue projections and because of that and the lackluster economy the Executive Office of Administration and Finance has revised revenue benchmarks many times. Additionally, if his budgeting abilities are indeed responsible and balanced, Governor Patrick wouldn’t have needed to make as many cuts as he has this year. You can tell we’re coming up on an election year, because this Governor seems to be stretching the truth every time he opens his mouth! Governor Patrick also told Braude and Eagan, “I think everybody is feeling pinched right now. I think we've got to be real slow in imposing new fines and fees and taxes, frankly." That’s an ironic statement coming from Governor Patrick, considering the taxes and fee increases his administration has imposed on the hardworking taxpayers of the Commonwealth! BOSTON—House Minority Leader Bradley H. Jones, Jr. issued the following statement after Governor Patrick’s monthly appearance with Jim Braude and Margery Eagan on WTKK-FM. Local officials are on the front line delivering essential services day in and day out. It is our local officials making the tough choices which are made even more challenging with Governor Patrick constantly dragging his feet on critical issues facing our cities and towns. Governor Patrick should know that ultimately the very final decision of certification of a local tax rate is made by his administration and because they have been so far behind the eight ball the Legislature had to pass special legislation this year. In fact, Governor Patrick signed Chapter 183 only a week ago. “Candidate” Patrick promised property tax relief and yet all we have seen is an unsustained effort by Governor Patrick chock full of empty promises with little leadership and minimal results. Local communities and property taxpayers are paying the price for a Governor who never served at the local level in any capacity. While there have been signs of economic recovery here in the Commonwealth, it’s important for the public to know that we’re not in the clear just yet. Though the Patrick Administration would like to have people believing that a slight bump in revenue collection means the economy is turning around, thousands of Massachusetts residents are still unemployed or under employed. 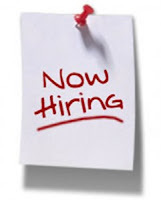 The jobless rate still stands at just below 9 percent and quite frankly it’s doubtful that those who are unemployed feel as positive about the future as Governor Patrick does. At a consensus revenue hearing yesterday, several people representing various organizations and agencies spoke. State revenue officials say they expect to see at least a 3% increase in revenue collections in the next fiscal year. That’s great, but unfortunately we lost about 15% of our tax revenue last fiscal year. So to be blunt, we’re still in the red. We’re not trying to be the bearer of bad news, however we want to make sure people are aware of the fiscal reality here in the Commonwealth. We may be entering a recovery period, but we still have a long way to go until we’re in the clear. The Minority Leader's office recently released a report that highlights the revenue problems the state faced in Fiscal Year 2009, how those problems led to a structural deficit in Fiscal Year 2010 and what we can expect for Fiscal Year 2011. Click here to view the full report. House Minority Leader Bradley H. Jones, Jr. issued the following statement after days of infighting within the Democratic Party in the Massachusetts House of Representatives. House Democrats who are angry after the discovery of a Sal DiMasi defense fund being paid for by taxpayers have no one to blame but themselves. The Democratic Majority has allowed this to happen by relinquishing power and control to the office of the speaker, and finally the other shoe has dropped. This is nothing more than bitter lawmakers with an axe to grind for layoffs and salary reductions within their staffs. Some of these members are now claiming to be the victims of the same heavy handed political maneuvers they were once responsible for while serving in leadership under previous Speakers. If this contingent of Democrats is so worried about transparency and good government, they should have voted in favor of a Republican amendment that was offered last February during the rules debate. The amendment would have ensured that independent auditors have access to all financial records of the house. However, not one Democrat voted in favor of this proposal. This is a glaring example of one party control run amok. When asked about Governor Patrick’s hiring spree, House Minority Leader Brad Jones told the Herald “It’s frustrating. The administration is slow to do what is being done in the private sector. Where is the paper trail?” Jones added, saying new hires may be needed in some cases, but the process is not transparent. Apparently, 20 of the new hires make $100,000 or more. This news only adds more fuel to the fire as the state grapples with a $300-$500 million budget shortfall. To read the entire Boston Herald article and to see the list of new hires, click here. With Massachusetts running a $3 billion deficit and residents suffering from $1.2 billion in new taxes, Governor Patrick is pushing for providing benefits to illegal immigrants. 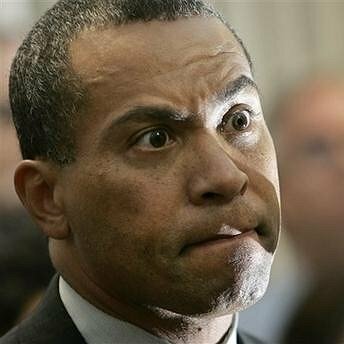 College tuition subsidies, making it cheaper for illegal aliens to attend college in Massachusetts than a born-and-raised American citizen from out of state; food stamps and welfare payments; drivers licenses... No, this is not a bad fiction novel - this is Deval Patrick's vision for Massachusetts! Click here to watch Representative Jeff Perry's latest You Tube video. The Massachusetts Taxpayers Foundation is the deliverer of some bad economic news and while the news may have come as a surprise to the Patrick Administration, it has been abundantly clear to many for a long time. Governor Patrick and the tax and spend Democrats on Beacon Hill have made the fiscal situation worse by continuing to ignore the severity and magnitude of the economic crisis here in the Commonwealth. Despite the bleak outlook, Governor Patrick and the Legislature have yet to address the budget crisis on a large enough scale. Not only should we be reducing government spending, we also need to be implementing serious reforms in order to allow government to continue delivering essential services. A slew of creative, cost saving initiatives have been offered by Republicans in both the House and Senate, however the majority of Democrats have opted for raising taxes, a quick fix sold as the answer to all the state’s problems. Memo to the Democrats who supported these tax increases – the state is still in hot water! Click here to see the full report from MTF. The Capitol View announces today that every House Republican will be taking a voluntary furlough. This comes after Speaker of the House Robert DeLeo and House Minority Leader Brad Jones announced all House staff would be required to take a five day furlough to help tighten the budget gap. The members of the House are not constitutionally obligated to take a furlough, however each member believes everyone needs to share in the sacrifice as state lawmakers deal with a massive budget shortfall. The Republican Caucus remains disappointed as the financial picture has worsened over the last few months saying the Legislature should have been more proactive. Republican lawmakers pushed for a statewide furlough, a hiring freeze and a number of other cost savings proposals in April because of the bleak outlook. Those ideas were unfortunately rejected in favor of significant tax increases. Just when you think it can’t get any worse! Offensive indeed! 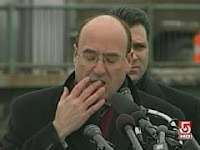 What’s worse is that even after DiMasi stepped down, this contract continued! Is there a reason why this contract wasn’t reviewed and terminated? This entire situation reeks of corruption and it is this kind of event that tarnishes the reputations of hard working, decent lawmakers. Regardless of your political affiliation, today is a very important day for the Commonwealth as thousands of voters are expected to go out and vote in the special primary election for U. S. Senate. Polls opened at 7 a.m. this morning and will remain open until 8 p.m. this evening. There are four Democrats and two Republicans on the ballot today and the winner from each party will face off on January 19th. An independent candidate will also appear on the January 19th ballot. Be sure to do your civic duty today, get out and vote! 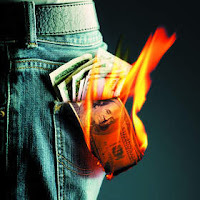 Governor Patrick: Money Burns Hole in his Pocket! And not surprisingly, that money is burning a hole in the pocket of our tax and spend Governor! After weeks of publicly reprimanding the Legislature for not doing more to fix the state’s budget shortfall, Governor Patrick has decided to go on a bit of a shopping spree. On Friday, Governor Patrick filed a $42 million supplemental budget, all of which will be spent on homeless shelters and services. While this is an admirable cause, it’s a bit hypocritical of the Governor to expect the Legislature to grant him expanded 9C authority when the first extra dollar the Commonwealth generates is spent so quickly! In addition to the supplemental budget, Governor Patrick appears to be shying away from other proposed cuts. While the one time settlement and the boost in tax revenue is positive, it’s not an open invitation to spend! Governor Patrick needs to recognize that in no way is the Commonwealth in the clear financially speaking. It was only a couple weeks ago that Governor Patrick was saying the Legislature owes it to the taxpayers to clean up the budget mess, well Governor Patrick owes it to those same people to behave in a more fiscally responsible manner! One lawmaker told the Herald, “Given that the sky was falling, it’s a bizarre turnaround!” We couldn’t agree more! 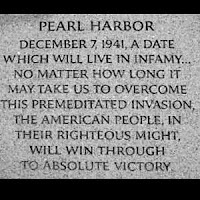 Sixty eight years ago today, the American Army and Navy base in Pearl Harbor was attacked by the Imperial Japanese Navy. The attack, which came as a surprise, claimed the lives of more than 2,000 Americans and another 1,000 were injured. Today, on December 7th, we remember and honor those military men and women who lost their lives on that Sunday morning many years ago. Today is known as Pearl Harbor Remembrance Day and all of us here at The Capitol View want to offer are sincere gratitude and appreciation to the service men and women who made the ultimate sacrifice. We thank you and we honor you. The Boston Herald’s editorial staff got it right today when it said “sometimes procrastination actually does pay off.” As you may know, there has been somewhat of a public difference of opinion between Governor Patrick and House Speaker Bob DeLeo on whether or not the House should have taken up the heavily amended Senate version of the Education Reform bill. While the Republican caucus remains disappointed and frustrated by the light fall schedule in the House, we tend to agree that rushing through a bill that appears to do more harm than good is not in the best interest of the Commonwealth. Furthermore, given the length of the bill and the details of the amendments, it is imperative that every member have the opportunity to fully read and study the contents of the bill. What "Study" means to the Legislature? Representative Jeff Perry (R-Sandwich) recently released his latest You Tube video. In his latest edition, Representative Perry discusses how the Democrats on Beacon Hill utilize a procedural tactic to essentially kill a bill. Click here to watch the video in its entirety. Governor Deval Patrick has missed yet another opportunity to save the Commonwealth tens of millions of dollars, House Minority Leader Bradley H. Jones, Jr. said today. Governor Patrick recently vetoed section 29 of the most recent supplemental budget that would have created a new mandatory drug repository program and potentially saved millions in prescription drug costs paid by the state’s Medicaid program. Section 29 of the supplemental budget would have created a broad-based recycling program here in Massachusetts that would allow residents and consultant pharmacists in healthcare facilities to return unopened and unexpired prescription drugs. Similar programs are in place in 37 states across the country. The program Representative Jones proposed had the potential to save $20 million annually. Governor Patrick vetoed the section, saying the Department of Public Health will examine the possibility of implementing this reform under existing authority. “The fact that such a program does not already exist is a concern,” added the North Reading lawmaker. Could it be because of the massive increase to the state’s sales tax earlier this year? When are Governor Patrick and the tax-happy Democrats on Beacon Hill going to realize that their policies are hurting Massachusetts residents and business in Massachusetts, not helping? From all of us here at The Capitol View, we hope you and your loved ones have a safe and happy Thanksgiving! Last week, state officials reported “Massachusetts lost 900 more jobs in October, but the state's unemployment rate dropped to 8.9 percent from 9.3 percent.” However, according to a CNBC report today the “real” jobless rate more accurately depicts the number of people unemployed or under-employed. In fact, CNBC is reporting that the real national unemployment rate is 17.5%. So, how is it possible that last month the Commonwealth lost 900 jobs, yet the unemployment rate went down? Something just isn’t adding up! The fact of the matter is people who have lost a job, have had their hours cut down from full time to part time or people who have been unemployed for so long that they’ve fallen off the list to receive unemployment are struggling. And it is the responsibility of the Governor and the Legislature to put Massachusetts’ economy back on the right track. However, that goal won’t be accomplished by raising taxes and fees and it seems that’s all the Democrats know how to do! House Minority Leader Bradley H. Jones, Jr. issued the following statement after Senate Minority Leader Richard R. Tisei announced he will seek the office of Lieutenant Governor. I have known and worked with Richard for more than two decades and it has been a privilege to call him my friend and my colleague. 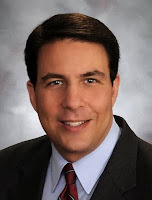 Senator Tisei brings a wealth of legislative experience and accomplishments to the ticket and as the people of his district will attest he has been a dedicated and honorable legislator who always puts the interests of his constituents first. As Lieutenant Governor, he will put the needs of Massachusetts’ taxpayers ahead of politics, like he’s always done in the past. Additionally, Richard’s a small business owner and is probably one of the few state wide candidates who truly understand how difficult it is to run a business in the Commonwealth. I will do everything I can to support the Charlie Baker-Richard Tisei ticket. Governor Patrick Misses the Point, Again! Once again Governor Patrick misses the point. Instead of focusing on the well being of our state’s taxpayers and businesses, he’s more worried about the state’s coffers. As the Herald article points out, “Store owners had contended that the holiday was especially needed this year, because they feared that a 25 percent increase in the state sales tax to 6.25 percent, which took effect Aug. 1, would drive consumers to shop in tax-free New Hampshire or online.” The fact that Governor Patrick said the state couldn't offer a sales tax holiday shows just how out of touch and disconnected he and his administration really are. The poor economic climate was the most convincing reason why a sales tax holiday was necessary. Not only does the sales tax holiday generate business during a slump, it also provides a little relief to cash-strapped taxpayers. One thing in the article that doesn’t surprise us is the fact that Governor Patrick is suddenly on the bandwagon for a sales tax holiday next year, an election year that is! House Republicans fought hard tonight to provide some relief to struggling taxpayers in Massachusetts. However, that effort was overwhelmingly rejected by the “tax and spend” Democrats on Beacon Hill. While debating a supplemental budget, Republican leadership offered amendments to roll back the sales tax to 5% and to reinstitute the sales tax exemption on alcohol purchases. Both amendments failed. House Democrats missed a solid opportunity to prove to taxpayers that Beacon Hill understands the challenging times families across the Commonwealth are facing. There is a ballot initiative under way that if passed would roll back the sales tax to 3%. Apparently the Democrats would prefer this option! Today is the last day of full formal sessions before the House adjourns for the holiday break and one of the first items voted on today was overriding the Governor’s veto of $18 million for the legislative accounts. So, while the Democratic-controlled Legislature is preaching joint sacrifice as it raises a slew of taxes, the tax and spend Democrats are making sure their own are well taken care of. A bit hypocritical, don’t you think? Families across the Commonwealth are tightening their belts, municipalities are slashing their budgets while laying off teachers and public safety professional and yet the Legislature thinks it is appropriate to restore all of the funding allocated to these accounts. Could the Democrats not figure out a way to do more with less? People across America and in the private sector are managing, why can’t they? We didn’t need further proof of the misplaced priorities on Beacon Hill and yet the Democrats managed to supply it with this vote. What is the Patrick Administration Thinking??? Just when you think the Patrick Administration couldn’t be any more out of touch, it goes and outdoes itself! According to the Boston Herald, a report commissioned by Governor Patrick to study how to better integrate legal and illegal immigrants and refugees into the Bay State has just been released. In the report, there are 131 recommendations made and many of them are not going to sit well with the public and are not sitting well with the Republican Caucus. • Improve access to capital for immigrant-run businesses. The one thing all of these have in common is they all cost money and in many instances they reward illegal behavior. Now is not the time to be focusing on providing services to those here illegally. Instead, this is a prime opportunity to institute real cost savings reforms and to focus on getting unemployed Commonwealth residents back to work. This example of Governor Patrick’s misplaced priorities is further proof that he is disconnected from his constituency. Representative Elizabeth Poirier was today appointed by House Minority Leader Bradley H. Jones, Jr. to a special commission to study the feasibility of establishing a veterans' hall of fame in the Commonwealth. Representative Poirier, who serves as the ranking Republican on the Joint Committee on Veterans and Federal affairs, will join 10 other people in reviewing and analyzing the feasibility of, and costs associated with, establishing a veterans’ hall of fame in the Commonwealth. The commission will also study reasonable methods and criteria that may be utilized for nominating and inducting veterans who are residents of the Commonwealth into the veterans’ hall of fame. Representative Poirier was first elected to the Massachusetts House of Representatives in 1999 and was appointed Assistant Minority Whip earlier this year. 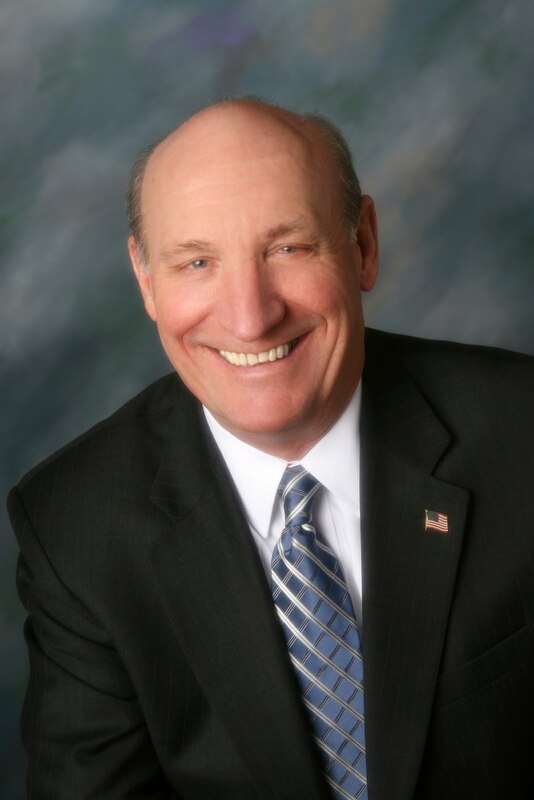 Poirier serves on a number of other House committees including Bonding, Capital Expenditures and State Assets, Elder Affairs and Steering, Policy and Scheduling. Assistant Minority Leader George Peterson recently appeared in a Fox 25 investigative piece about lawmakers holding second jobs and whether or not their employment could be a conflict of interest. To watch the piece in its entirety, click here. Representative Jeff Perry (R-Sandwich) released the following statement today in response to new talk about providing benefits to illegal immigrants. Today, the media is reporting that once again the Governor and many of the liberals who control Beacon Hill are talking about promoting benefits for illegal immigrants, including tax-payer subsidized college tuition discounts. While it may "feel good" for some to take such a position, from my point of view, such a policy violates the rule of law, promotes illegal behavior, is unfair to taxpayers, and puts law breakers ahead of those who follow the immigration rules. By encouraging illegal behavior, what message does this send to immigrants who enter this country legally? The issue of immigration must be looked at from two different points of view. The first dealing with those people who are in the United States legally and the second deals with those here illegally. While I believe it is the role of government to provide people with a helping hand, I do not support taxpayer dollars going to provide assistance to people of illegal status. Some time ago, I had a disabled man, who served in the Army National Guard, in my office in desperate need of dental work, which is no longer provided by the Commonwealth. This veteran was extremely upset that the State was considering providing benefits to illegal immigrants while telling him they could not afford to repair his painful teeth. How can we as a Commonwealth tell this man who has served his Country "no", but say "yes" to creating entitlements to illegal immigrants? This proposal shows the Governor and the liberals who support such measures have misguided priorities. 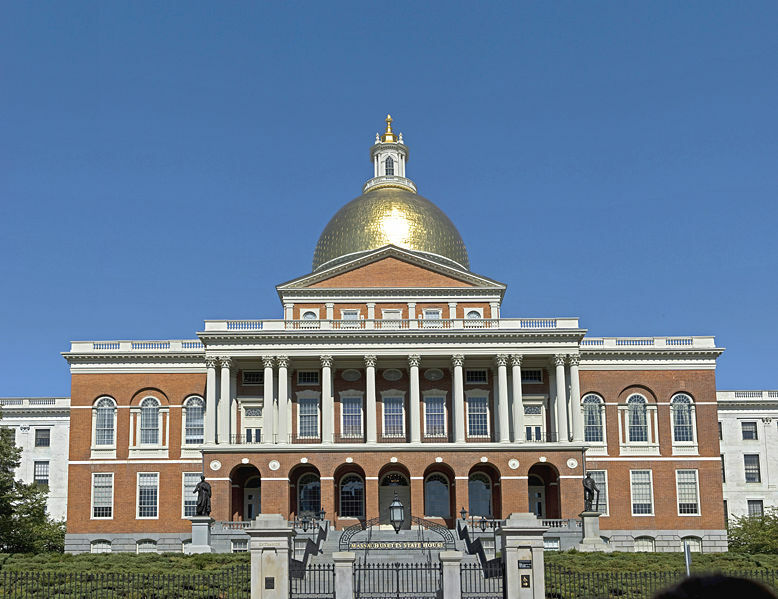 Some proposals floating around Beacon Hill would actually put illegal immigrants ahead of citizens from other states. As an extreme example, under the current proposal, if a solider just returning from Iraq who previously lived in Florida moved to Massachusetts to attend one of our public colleges, he would pay substantially more than an illegal immigrant who came to our Country illegally. Additional, some proposals do not limit the benefits to illegal immigrants from Massachusetts. If passed, this measure will create a wide open door for illegal immigrants from all over to compete for Massachusetts students. As it is unclear if citizenship will be granted to these students in the future, it is likely that many will never be able to pay income taxes, thus we are paying for education without the likelihood of gaining taxes later. Furthermore, the proponents conveniently neglect to mention that there is currently a law suit filed in Federal Court which could hold that programs that benefit illegal immigrants over citizens from other states is unconstitutional under the 14th Amendment to the United States Constitution. If this lawsuit is successful, any state offering discounted tuition to illegal immigrants, would also have to offer it to citizens from other states. This could result in Massachusetts citizens losing the ability to have a discounted tuition all together. To reward illegal immigrants who have violated our laws sends the wrong message to those immigrants who have spent many months and even years waiting in line to enter this country legally and is grossly unfair to the taxpayers. It is my view that the Commonwealth should be allocating our resources at expanding health care, improving education, and ensuring public safety and not benefits to illegal immigrants! Why all the false information, Governor? This article serves as only further proof and validation of what we’ve been saying all along. Governor Patrick needs to wake up and take a look at reality. We don’t like being the bearer of bad news, but the fact of the matter is the Governor is wearing rose colored glasses, saying Massachusetts will recover from the recession quicker than other states, but the truth is Massachusetts is likely to see even worse days ahead. And that is a direct result of the Governor’s misplaced priorities and lack of leadership. On this Veterans’ Day, we must remember that we know freedom because of the millions of Americans who have put their lives on the line. 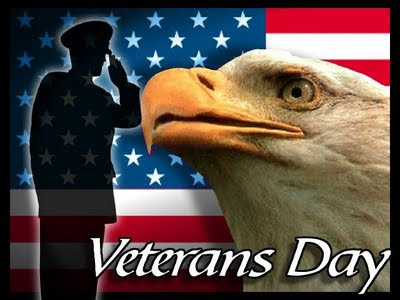 Today, let us honor them, but let us be thankful for them each and every day of the year and not just today. Let us continue to pray every day for those who have paid the ultimate price, and for their families who lost a love one to ensure a free America. Thanksgiving is still a couple weeks away, but today is certainly a day to be grateful, especially to the hundreds of thousands of veterans that live here in the Commonwealth. Today, The Capitol View salutes them. 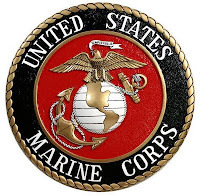 For those of you who don’t know, today marks the 234th birthday of the United States Marine Corps. We’d like to take a moment here on The Capitol View to say thank you to all of our Marines. Tomorrow we observe Veterans’ Day, but today let us honor the men and women of the Marine Corps. It was on this day in 1775, that the Marine Corps was established and ever since then, brave Marines have fought in wars all around the Globe in order to protect our freedoms. Thank you Marines and happy birthday. The New England Economic Partnership is reporting some grim news today. According to the Boston Globe “the nonprofit research group, projects the state will lose more than 60,000 additional jobs before the labor market hits bottom in the third quarter of 2010. That would bring total job losses in this recession to just under 200,000, or 5.9 percent of total employment.” This news comes just one day after the Boston Globe reported that Mascoma, a company that makes a gasoline substitute from wood chips and other materials, is getting ready to open a plant in Michigan where it will create 100 new jobs. Massachusetts, however was originally an option for Mascoma, but apparently, Michigan’s Governor made recruiting the business to her state a priority whereas Governor Patrick did not. In fact, Mascoma’s CEO told the Globe, “Massachusetts, they knew we were looking to build a plant. It wasn’t a priority for them at the time.’’ Why wasn’t it, Governor? When the Globe asked the Governor about the loss, Patrick said, “We’d like it all, to be sure, but this is good for the country and we get the bragging rights of being the hometown of a pioneer.’’ This isn’t about bragging rights! This is about the Governor’s misplaced priorities and reckless business policies. The Governor needs to be focused on creating jobs not what he can or can’t brag about. This is a loss for Massachusetts that could have been prevented. Unfortunately, Governor Patrick does not possess the leadership to make Massachusetts a more business friendly state. But hey, if you’re an out of work Democratic operative, come to Massachusetts, the Governor will find you a high paying position in his administration. As The Capitol View has reported many times, the Commonwealth is in the midst of a $600 million budget shortfall. The Governor recently announced his plans for dealing with this dilemma. The Globe says, “The Department of Transportation’s budget will be cut by $13.5 million with reductions in the snow and ice removal and overtime budgets. Managers will be asked to take furloughs.” So, cities and towns are going to take a hit so Governor Patrick can keep his overpaid cronies employed? Forget furloughs for the managers, it’s time to lay off some of the people holding duplicated positions with $100,000 plus salaries. When asked about the MassHighway, an administration spokesman said, “when Patrick became governor, the highway department was “so severely understaffed’’ it could not handle urgent construction projects and was cited for the deficiency by federal highway officials.” Even if that were true, the kind of staff needed is skilled construction workers and laborers, not costly managers who hold do-nothing jobs. Though Governor Patrick continues to claim Massachusetts’ economy is on the road to recovery, news of a spike in unemployment seems to suggest otherwise. As The Capitol View reported, Governor Patrick and his administration have made claims that federal stimulus money provided to the state saved or created more than 23,000 jobs. 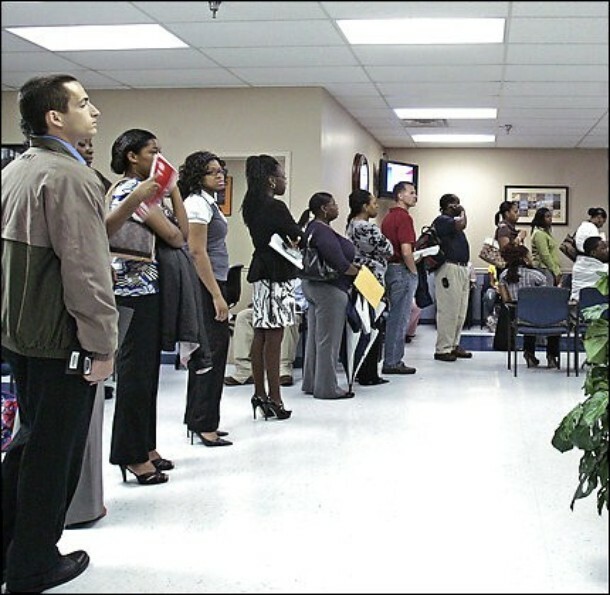 While the administration has been scrambling around trying to prove that claim, last week media outlets reported that the national unemployment rate has risen to 10.2%, the highest since 1983. Massachusetts unemployment numbers are doing out later this month, but the Commonwealth’s rate was at an all time high last month. Perhaps it is time we pick up the pace in the Legislature and get to work on legislation that will benefit the people of Massachusetts, not the political allies of the Democrats on Beacon Hill. This economic crisis isn’t going away any time soon and the more we put it off, the worse it will become. According to a report in today’s Boston Herald, Governor Patrick appears to be committed to spending more than $3 billion on MBTA expansion projects. This is yet another glaring example of Governor Patrick’s continuous mismanagement of state resources. You would think after the release of a scathing report, detailing a number of safety and financial concerns, the Patrick Administration would back off plans to expand and invest in fixing current structures and services. In spite of this report, yesterday Governor Patrick told public transportation users that the system is safe and “promised to restore a culture of safety and transparency of the system.” Is that why he appointed a union friend to the MassDot Board? As the economy in Massachusetts continues to struggle, the last thing we need is more bad news. Unfortunately, that is exactly what we got. According to an article in today’s Boston Globe, Evergreen Solar, a producer of solar panels, will be moving work overseas. Specifically, the article reports, the assembly of solar panels will now be done in China. How many more companies is the state going to drive away before Massachusetts Democrats realize their policies are the reason for the mass exodus of businesses and jobs? Just last fiscal year, Democratic lawmakers passed the largest corporate tax increase in our state’s history. It is steps like these that make moving to the Commonwealth unattractive for corporations. Earlier this year, Republican legislators filed legislation to repeal the corporate tax increase. That idea was rejected and instead a whole host of other taxes were raised, including the sales tax. Maybe it’s time to do things a little differently? Where’s the Job Report, Governor? Last week, Governor Patrick and his administration claimed federal stimulus money provided to the Bay State “created or retained” 23,533 jobs in Massachusetts since February. As you may recall, The Capitol View reported that the Patrick Administration neglected to provide any kind of report to back up that claim. According to State House News Service, “Administration officials later were unable to provide estimates of how many jobs were created and how many were preserved, or of how many were public-sector jobs and how many were in the private sector. A spokeswoman for stimulus infrastructure czar Jeffrey Simon said the data were not available. “Since we weren’t required to have that breakdown, we don’t readily have that breakdown,” spokeswoman Alethea Pieters said.” In the same article, SHNS reported that a formal report would be filed on Friday. That was more than a week ago, and still no report! Not that we’re surprised, we certainly are disappointed though to not have any research to substantiate the Governor’s claim. How do we know the administration is being honest with the Massachusetts public? First of all, there’s no report to back it up. Secondly, according to an article by the Associated Press, “The inflated job count is at least partly the product of the administration instructing local community agencies that received money to count the raises as jobs saved.” That just doesn’t pass the smell test! Today, we call on Governor Patrick to provide that report. It is about time this administration start backing up the random announcements and press releases. Without a report, there is no way to know if the federal stimulus money has had any effect on the state’s job preservation and growth. Boston Globe Agrees with Us…Gets it Right! The Boston Globe editorial staff had a major breakthrough today! The Globe published a piece called Transportation: Patrick’s not-so-fresh start and to our surprise, the administration’s Morrissey Boulevard office comes out against one of Governor Patrick’s appointments to the new MassDot Board. We couldn’t agree more. As the Boston Globe points out, the appointment of Janice Loux to the board is wrong on many levels. First off, she is nothing more than a union holdover whose priority will be looking out for unions not the best interest of the general public. No, Governor, this is not new. The reason your appointment is drawing so much criticism, bipartisan in fact, is because it is the complete opposite of new. Loux served on the MBTA board for more than a decade and if that qualifies her as new, than we don’t want to know what old looks like! Today is Election Day for many communities across the Commonwealth. As thousands of voters head to the polls, we here at The Capitol View look are interested in finding out the results as a wave of anti-incumbency appears to be sweeping through the state. 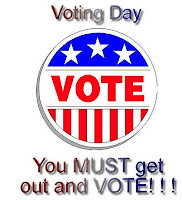 We want to remind all of you to participate today in your local elections. So, get out there and vote! We would also like to wish all of the candidates the best of luck today in their respective races and look forward to hearing the results later on this evening. The new Massachusetts Department of Transportation board was sworn in today, officially marking the end of Jim Aloisi’s tenure as Transportation Secretary. We’d like to believe his departure signals a new beginning for the state’s transportation system, but unfortunately Governor Patrick has decided to fill more than half of the new 5-member board with recycled transportation agency officials. Is that reform we can believe in? So, let us get this straight? 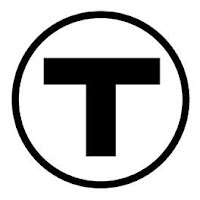 Ousting Dan Grabauskas from his post at the MBTA at a cost of more than $320,000 to the taxpayers will serve the people well? What about the massive traffic delays brought on purposely on Easter Sunday? Is that the strong platform for meaningful change he was talking about? House Minority Leader Bradley H. Jones, Jr. issued the following statement after hearing of Governor Patrick’s appointments to the newly formed Massachusetts Department of Transportation Board. Governor Patrick’s appointments today present a missed opportunity as we initiate phase one of the transportation reform overhaul. While I’d like to say I am surprised by the Governor’s appointments, nothing shocks me anymore. The fact that they are being announced as part of the Friday afternoon news drop only validates my concern that at least some of the appointments announced are more about politics than policy. Earlier this year, we passed a comprehensive transportation reform package that signaled a new beginning for the state’s transportation system. At least half of the appointments made today are contrary to the intent of the legislation and potentially in violation of the law. What is clear is that three members appointed today are holdovers from previous transportation boards and their appointment to the new MassDOT Board represents a missed chance for bold leadership and a break with the past. In order for the overhaul to the transportation system to reach its true cost saving potential, it will take new leadership and bold implementation, not more of the same. House Minority Leader Bradley H. Jones, Jr. issued the following statement shortly after Governor Patrick announced his plan to address the budget crisis. I am dismayed that Governor Patrick still does not seem to grasp the magnitude of the budget crisis we face here in the Commonwealth. The solutions he offered today are a temporary fix to a growing crisis. Just like last year, Governor Patrick is applying a band aid to what is a very deep wound. Governor Patrick’s approach to the budget shortfall underscores his lack of experience in dealing with local government. Though the Governor claims, “We will not cut local aid,” it is readily apparent to anyone who has or does serve as a local official that aid to cities and towns was indeed cut today in a number of ways. However, in his attempt to provide assistance to communities, Governor Patrick filed legislation that would make Big Brother look pretty good to the average citizen. He claims his plan to install red light cameras at stop lights will allow cities and towns to offset any revenue shortfall they may have, but the public will see this as what is a false trade-off. While I am flattered the Governor has chosen to implement a number of proposals my Republican colleagues and I have offered, I am disappointed that it took this long for him to recognize the full potential of our cost savings initiatives. It was only a year ago Senator Richard Tisei and myself offered a tax amnesty program that Governor Patrick’s Department of Revenue opposed for two years. The tax amnesty program ultimately generated more than $30 million in revenue for the Commonwealth and now the Governor is proposing to do it only months after the last one concluded. The Governor has been consistently behind in addressing this situation. . Even today, Governor Patrick claimed Massachusetts’ economy was on the road to recovery, yet media outlets reported today that the Bay State’s economy shrunk for the third consecutive quarter. We hope Governor Patrick will embrace more of our ideas -he should willingly do so now before circumstances force him to do so again. 1. Shift all MassHealth members to managed care plans, rather than the MassHealth fee-for-service program and primary care clinician plan. 2. Encourage medical facilities to return unused, unexpired medication, which will lead to a decrease in overall health care costs in the Commonwealth. 3. Change the Pacheco law threshold from $200,000 to $5 million. It all sounds a little suspicious to us. Why wouldn’t you have the information available to back up what sounds like a wild guess? The Governor and his administration can make all of the claims they want, but figures don’t lie. And since the Governor has done such a bang up job in the past forecasting job creation, we tend to be hesitant to believe him now. Remember the projected 100,000 jobs in the life sciences industry he predicted would be created during his first term? At last check, only about 1,000 jobs had been created since the $1 billion life sciences bill was signed into law. When Governor Patrick came into office, unemployment was below 5%, it now stands at close to 9.5%. We know economic times have been tough, but the policies put into place by Governor Patrick have not been conducive to job growth or economic stimulation. In fact, if anything Governor Patrick has done all he can to tax jobs out of the Commonwealth. Below is a chart compiled by the Budget Director in the House Minority Leader’s Office. You will see that more than 110,000 jobs have been lost under Patrick’s leadership, or lack thereof. 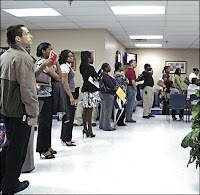 In fact, notice the job exodus began before the economic crash last year. House Minority Leader Bradley H. Jones, Jr. issued the following statement after hearing Mary Connaughton filed papers to run for State Auditor. I am excited to hear Mary Connaughton has decided to get in the State Auditor race. Over the years, I have had the privilege to work with her in various capacities and believe her to be not only an incredibly talented person, but also someone who brings a number of unique experiences to the table. Mary has been an outspoken critic of poor policy regardless of who is in power and she will bring a whole new level of transparency to state government. If Governor Patrick was expecting his economic summit to boost confidence among Massachusetts residents, he was mistaken. If anything, the timing and partisanship surrounding the summit are further proof that this Governor’s efforts to repair the Commonwealth’s economy are too little, his grasp on the magnitude of the crisis came too late and his response has been lackluster. You may recall a few weeks ago Governor Deval Patrick announced that his administration would be organizing an economic summit, seemingly a response to the rapidly declining revenue numbers and increasing unemployment rate. So much for change and transparency! It’s more of the same from Governor Patrick and his administration. Hope Governor Patrick isn’t planning on running for re-election as an outsider again! This administration is consistently behind the curve. It was only weeks ago, that Governor Patrick recognized the scope of the financial difficulties the Bay State is facing. This economic summit is nothing more than a poor attempt for publicity. As you may have heard, a Massachusetts Marine was among the 14 Americans killed yesterday while serving in Afghanistan. Captain Kyle VanDeGiesen grew up in North Attleboro and attended St. Anselm College where he played football. VanDeGiesen leaves behind a daughter and his wife who is expecting a son. We would like to offer our condolences and greatest sympathy to the family and friends of the fallen Marine. We’d also like to extend our heartfelt gratitude to VanDeGiesen and all of the service men and women who risk their lives every day to protect our country. Click here to read more about the tragic events in Afghanistan. Remember the slogan, “reform before revenue?” Well, the Legislature did very little reform, but mostly revenue! Now, only a few months after the sales tax hike went into effect, there are new calls to raise taxes yet again. Are they kidding? More revenue options? That is code for more money for Democrats to dole out to the special interest groups. We’ve raised a plethora of taxes this legislative session. From the sales tax, to the meals tax and don’t forget the satellite television tax, there aren’t many left to raise! The sales tax was sold to the general public and to unions as the solution to our state’s problems, yet here we are months later with a revenue shortfall. The essential services and local aid Democrats vowed to protect are all on the chopping block yet again! Instead of raising taxes, which yes would be quick and easy for Democrats to accomplish, how about we convene in a full formal session to tackle the many financial challenges facing the Commonwealth. While we have taken baby steps as far as reform goes, there are still many areas of state government that must be reformed. Furthermore, if the financial challenges are as great as we all see them to be, why is the Legislature doing very little in the way of legislating right now. We’ve met here and there to pass legislation that could easily have been taken up during an informal session. Is it because the Democrats on Beacon Hill don’t want to do the dirty work? They’d rather grant the Governor expanded 9C powers so they can say they weren’t involved in the cuts. Well, we’d rather go line item by line item, cut the waste where necessary and implement practical, cost saving reforms. Governor Patrick appears to be in campaign mode as President Barack Obama makes his way to the Bay State to raise money for the Governor’s re-election bid. It’s surprising however, to see the Governor actively campaigning so soon considering comments he made in March. When criticized for hiring Jim Aloisi and failing to bring tax relief to Massachusetts taxpayers, Governor Patrick told State House News Service on March 2nd, “save it for next year when the campaign starts. We're dealing right now with problems that they left, that they created, and I'll tell you those problems are deep, deeper than I think certainly I even realized when I was running." Problems left by the Romney Administration? Like the $2 billion Governor Romney left in the rainy day fund? So, why the change of heart Governor Patrick? Could the campaign be kicking up because of the rapid decline in the Governor’s poll numbers? Or is it because he’s done the exact opposite of everything “Candidate Patrick” promised he would do as Governor? Governor Patrick is slow to act on trimming Massachusetts’ workforce, according to a report by the Associated Press. The Patrick Administration had said last year it would cut 1,750 jobs from the state’s executive branch, but the AP’s Glen Johnson is reporting that the administration has only cut a little over 1,600. So, why so slow to act Governor? Is it because your executive branch is filled with political hacks and cronies like the three highlighted in a story in today’s Boston Herald? Governor Patrick needs to step up to the plate and make the tough choices he should have been making last year before the economic downturn began. Since Governor Patrick and the tax and spend Democrats on Beacon Hill neglected to prepare for the worst, the state’s finances are far worse off than they would have been had we implemented real reform in the FY09 and FY10 budgets. Once again, too little, too late. Governor Patrick has been talking a big game about getting serious in dealing with the budget crisis here in Massachusetts, but a story in today’s Boston Herald highlights why the Governor and his administration are in no way capable of handling the state’s finances. According to a report in the Boston Herald, Governor Patrick issued “pink slips to nearly 100 state Department of Conservation and Recreation workers but spared a high-paid trio including the sister of his campaign manager and her two pals.” Smells a bit like cronyism? Let’s talk about the three employees whose positions were spared. The first is the sister of Patrick’s campaign manager John Walsh, also the chairman of the state’s Democratic Committee. Walsh’s sister Patty Vantine, a former accountant for the state party, makes a whopping $105,000 working for DCR, and yet no one can say exactly what it is she does for the state agency. The next is Kathleen Reilly, friend and neighbor of Vantine who was hired in the spring and makes $83,000. Again, not exactly sure if her position is essential! And last we have Kevin Whalen, also a neighbor of Vantine, who makes $68,000 working as a waterfront coordinator. The salaries of these three positions, paid for by the taxpayers of Massachusetts, are worth a grand total of $256,000. Half a dozen $42,000 positions could have been saved if Governor Patrick was willing to make tough choices and put the well being of the state above the well being of his political cronies. If Only the Governor had been Proactive! There’s been a lot of talk about what exactly led to the economic crisis here in the Commonwealth. While the downturn in the global economy is certainly having an effect on Massachusetts’ economy, one of the greatest contributors is the lack of preparedness by Governor Patrick and his administration. This person’s story could not underscore our argument any better. The Democrats on Beacon Hill need to learn from Mr. Bonbon. Being proactive is far better than being forced to react. However, because Beacon Hill Democrats led by Governor Patrick failed to take the necessary steps in preparing a responsible FY09 budget, we are seeing the consequences in dealing with the already out of balance FY10 budget. As you are well aware, the FY10 budget is now $600 million off and just last week Governor Patrick said drastic cuts are coming to essential services and it is possible that 2,000 jobs could be eliminated. The question is did it have to come to this? We say no. The state needs to be better prepared to deal with the unexpected. However, this recession was indeed expected and yet Governor Patrick and the tax and spend Democrats still couldn’t plan for the worst. Michael Bonbon urged his union to prepare for the worst and they ignored him. He and many more like him are now out of work. We in the Republican Caucus urged our colleagues to prepare for the worst and like Bonbon, we were ignored. You can connect the dots! The Republican Leader's Office recently distributed an easy to read PowerPoint presentation, detailing the many problems facing the Commonwealth during this budgetary crisis. Click here to view the slide show in its entirety. Representative Jeff Perry recently released his latest You Tube message. 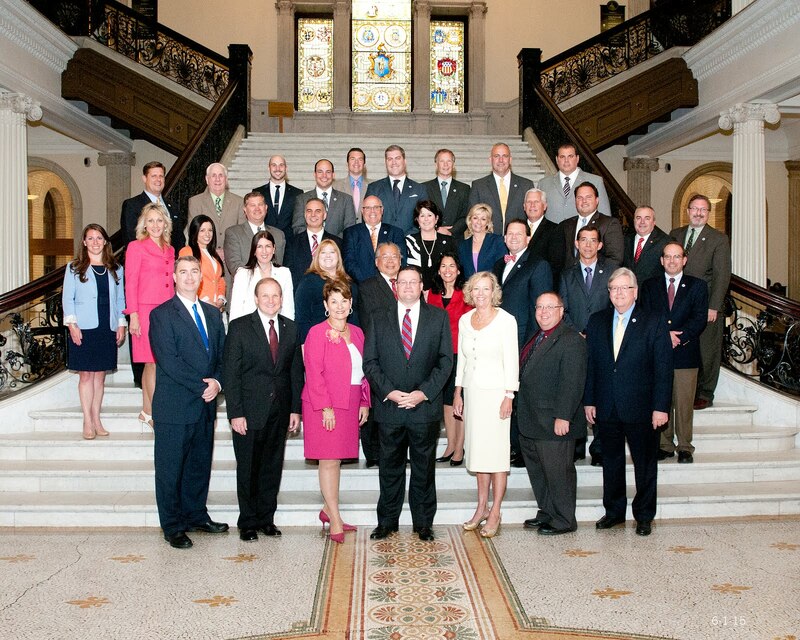 The Sandwich Republican addresses the Commonwealth's budget crisis in this edition. Perry cites research gathered by the budget director in the Republican Leader's Office. Click here to watch the You Tube message in its entirety. House Minority Leader Bradley H. Jones, Jr. issued the following statement following the announcement of Governor Deval Patrick’s fiscal crisis management plan. It’s good to see Governor Patrick catching up to the rest of us in recognizing the scope of the fiscal crisis. I am flattered that his fiscal crisis management plan includes so many Republican proposals that were offered back in April during budget debate including; expediting the sale of surplus state land, personnel reductions and requiring furloughs. It is, however, disappointing to see the lack of specific detail in this blueprint to deal with this widely anticipated shortfall. Given the real possibility that the $600 million figure will likely be higher, one would have expected a more comprehensive and proactive plan for our fiscal solvency and economic recovery. Culture of Corruption Alive and Well on Beacon Hill? Earlier this year the Legislature passed an ethics reform bill that Democrats on Beacon Hill claimed would clean up the State House. But months later, the question remains, is the culture of corruption alive and well on Beacon Hill? While there were indeed many positive components in the ethics reform package signed into law, the abuse of power is a direct result of one party government. Let’s keep in mind that the charges Sal DiMasi, Dianne Wilkerson and even Senator Anthony Gallucico face are already illegal and come with stiff penalties. No changes to our ethics laws could have prevented the crimes DiMasi, Wilkerson and Gallucio are accused of committing. However, greater balance on Beacon Hill would not only provide better oversight, but the public would also be better served with a sound two party system. These shortcomings are all exacerbated by one party government and the sense of power, entitlement and electoral safety it breeds. Massachusetts’ economy, much like the global economy has taken hit after hit since the economic downturn began. During this time however, little to no leadership has been displayed by Governor Patrick and his administration. That is evident by the dismal unemployment news being reported today as well as the Governor’s announcement of an economic summit he is hastily throwing together. Now that his campaign for re-election is heating up, Governor Patrick wants to make it look like he’s actually working to fix the Bay State’s economy. However, we all know that if anything, Governor Patrick has managed to make the state’s finances worse by raising several taxes over the last couple years. He and his administration have been so focused on politics that they actually forgot to govern. Now, we have a 9.3% unemployment rate, the highest in more than 30 years, local businesses bordering New Hampshire and Rhode Island are struggling to stay afloat thanks to his decision to sign a drastic sales tax hike into law and let’s not forget his reckless spending ways. Let's get back to the economic summit publicity stunt. The Boston Herald is reporting that “Governor Deval Patrick will convene an economic summit later this month to discuss long-term economic recovery and jobs growth.” Memo to Governor Patrick, we’ve been in this recession for more than a year, shouldn’t you have started thinking about economic recovery a little sooner? The new charge brought against former Speaker Sal DiMasi is further proof that the one party system in the Commonwealth has run amuck. We have seen scandal after scandal, corruption and massive abuse of power. It’s a disgrace that one party has so much control and an even greater disgrace that the members of the House of Representatives relinquish so much of their own power to the Speaker. Lord Acton once said, “Absolute power corrupts absolutely.” Who would have thought that words said in the 19th century could ring so true in the 21st century? The culture of corruption on Beacon Hill is astonishing and will only be resolved when there is greater balance in the Legislature. Until then, Democrats will continue to allow a select few to make important decisions and unfortunately we can’t count on those people to make the right choices. The Democrats in Massachusetts have proven time and time again that they are unable of running state government efficiently and responsibly. Isn’t it time we elect more Republicans? Kudos to the Boston Globe for pointing out the state may lose $535 million in tax revenue beginning in 2012. Luckily, the History Channel has also pointed out that the world will end that year as well. It looks like the loss of corporate tax revenues is the least of our worries. Sarcasm notwithstanding, it’s fascinating how the Globe paints the largest corporate tax increase in Massachusetts history as falling short of its promise. As a member of the Corporate Tax Commission, I made it very clear back then that the state’s revenue intake from so-called, closing “loopholes” was way over-exaggerated. If you need more proof, just look at how the Patrick Administration had to revise its fiscal 2009 tax revenue projections a total of five times, and still failed to get it right. The Globe also highlights how only three corporations will benefit the most from a corporate tax deduction designed to lessen the sting of combined reporting. Those three companies are planning on claiming over $40 billion in tax deductions for the seven year period. That would equal about $281 million in tax revenue lost to the state. The Globe failed to point out the ratio of revenue lost to tax deductions claimed is only seven-tenths of a percent. Moreover, if you look at the total amount of deductions claimed by all 128 companies - $178 billion – the total estimate loss to state coffers is $535 million, or three-tenths of a percent. The Globe also failed to mention how many people are employed by these companies. It seems to me if 128 companies are big enough to ask for almost $180 billion (almost 10 times the state budget) in tax deductions, they probably provide a lot of services to the state in terms of employment, healthcare benefits, capital infrastructure, and municipal revenue. So much for investigative reporting. The Boston Globe should just come clean and tell us the real reason for this article: laying the foundation for more taxes. Tax revenues have been falling for over a year now. Clearly, the Patrick Administration is going to need more cash to look good for next year’s campaign for re-election. What better way to pave the way to more taxes than to have the Morrissey Boulevard satellite office point out that, once again, the evil, bad corporations are not paying their fair share? Earlier this year, Senate Minority Leader Richard Tisei and I filed legislation to repeal the $500 million corporate tax increase all together. 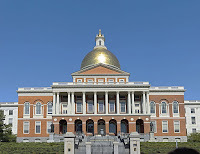 The tax increase – believed to be the largest business tax increase ever passed in the Commonwealth – was approved by the Legislature on July 1, 2008 without the support of a single Republican legislator and signed into law by Governor Deval Patrick the following day. 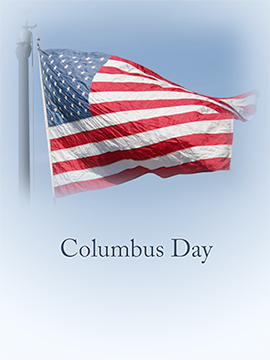 From all of us here at The Capitol View, have a safe and happy Columbus Day weekend. We'll be back on Tuesday with the latest happenings from Beacon Hill. Good Ideas in April, Even Better in October! The Commonwealth is facing close to a $1 billion revenue shortfall, this despite a significant hike in the sales tax. In April, in an attempt to be proactive, Republican lawmakers offered more than $300 million in cost savings initiatives. Not surprisingly, every proposal was overwhelmingly rejected by the tax and spend Democrats on Beacon Hill. Those ideas were good in April, but they’re looking even better now that it’s October. While we are cognizant that some cuts will have to be made, we are disappointed that none of our efforts to save money were adopted. 1. Require furloughs of all state employees. 2. Shift all MassHealth members to managed care plans, rather than the MassHealth fee-for-service program and primary care clinician plan. 3. Encourage medical facilities to return unused, unexpired medication, which will lead to a decrease in overall health care costs in the Commonwealth. 4. Change the Pacheco law threshold from $200,000 to $5 million. 5. Provide the rules and regulations for the state to expedite the sale of surplus land, transferring the revenues from such transactions to the general fund. Those five proposals would save the Commonwealth about $330 million this year alone, and that is a conservative estimate as there is potential to save even more by implementing these ideas. Innovative thinking is needed to rectify the fiscal crisis the state is dealing with right now. Saving hundreds of millions of dollars would spare essential programs when the Governor takes out his 9C pen and we owe at least that to the people we represent. Representative Jeffrey Davis Perry (R-Sandwich) released the following statement today after he and several House Republicans voted in favor of an Act Relative to Public Health Emergency Preparedness and Response in the Commonwealth. “The Bill, as was originally written by the Senate, granted what I believe was improper new powers, including the entry into private property without a warrant and several other questionable conflicts with provisions of the Forth and Fourteenth Amendments to the United States Constitution. The version that passed the House of Representatives today addressed many of those concerns and others expressed by my constituents by striking the entry into private dwellings without a warrant, allowing for an appeal to the Superior Court of an isolation order and calling for the least restrictive means to be used. These are all positive steps and I appreciate the fact that my concerns were heard and addressed in the Committee process. Beacon Hill is once again showing its priorities are incredibly misplaced. Today, three significant issues have hearings including; transportation reform, health care payment reform and most importantly revenue. Yet despite this packed day, Democratic leadership in the House decided to schedule a full formal session to take up a bill that has been kicking around in Ways and Means since April, an Act Relative to Public Health Emergency Preparedness and Response in the Commonwealth. This bill has been filed in some form several times over the last few years. This is certainly not an urgent matter that could not wait one more week. The topics of the hearings being held today are critical to the economic recovery of the Bay State and deserve complete attention from all lawmakers on Beacon Hill. The Commonwealth is facing a projected $1 billion tax revenue shortfall this fiscal year and this grim piece of reality needs to be addressed in a swift and responsible manner. The people of Massachusetts are worried about staying in their homes, keeping their jobs and putting food on the table. Those issues are top on the priority lists of taxpayers and should certainly be the focus of Beacon Hill today, tomorrow and indefinitely until the economy is moving in the right direction again. Once again, Governor Patrick is pushing to allow some immigrants to pay in-state tuition. Apparently, Governor Patrick hasn’t received the memo that Massachusetts and the country as a whole are dealing with a massive recession and the last thing people want is their tax dollars going to people here illegally. Just when you think Governor Patrick has shown complete disregard for Massachusetts taxpayers, he goes even further with a slap in the face like this. Patrick, whose poll numbers are dismal (to be kind), told State House News Service, “I am on record with the leaders, as I am publicly, that I think this is important for us to do as a matter of fairness and a matter of economics as well.” The Governor also said he had spoken with leadership and said, “They do not have consensus yet on moving it.” No kidding, Governor!